Continuing from 7 Costly Divorce Myths You Shouldn’t Buy Into (Pt. 1), here, we’ll continue uncovering the facts behind some of the most common and potentially damaging misconceptions about divorce. Myth 3 – My spouse cheated, so I’m going to get everything I want out of the divorce. Common divorce myths – including those about custody and cheating – could cost you if you buy into them, a trusted Littleton divorce lawyer explains. Fact – Wrong! This is the kind of thinking that can get people into real trouble because it may lead them to try to move forward with divorce without the help of an experienced lawyer. 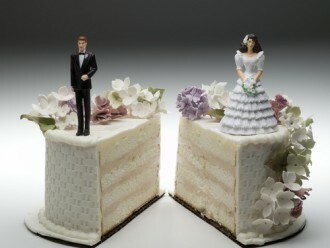 The fact is that Colorado is a no-fault divorce state. This means that infidelity and/or other misconduct during a marriage will not be a factor used by the courts when resolving divorce cases. What would be “equitable” in terms of the division of property. Myth 4 – Children can choose who they want to have primary custody. Fact – Wrong again! When divorcing parents are able to agree on a custody division, the court will typically uphold these agreements. However, when custody is in dispute, the involved children’s wishes will be only one factor that the courts may consider – as long as, of course, the children are mature enough to express their wishes to the court. Whether either parent has a history of domestic violence, abuse or anything that could potentially harm the child. So, even if your children want to live with you after a divorce, don’t think this is going to be the final say in the case, especially if the other parent doesn’t agree with your intended custody requests/plans. Don’t miss the upcoming conclusion to this blog series for some final important facts behind common divorce myths. A choice to work with a trusted Littleton divorce lawyer at Bahr & Kreidle can empower you and give you confidence that your divorce will be resolved as favorably and efficiently as possible.